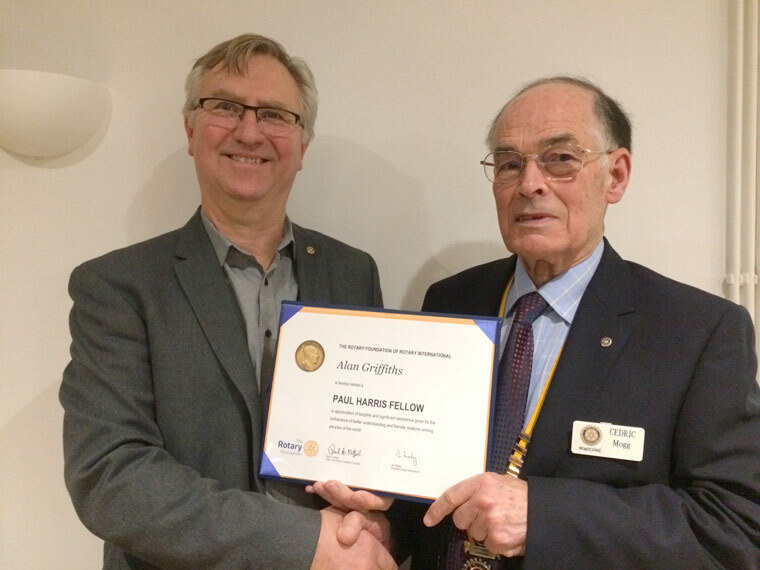 Rotarian Alan Griffiths received his certificate at a recent meeting. A member of Wimborne Rotary has been awarded a prestigious Paul Harris Fellowship in appreciation of tangible and significant assistance given for the furtherance of better understanding and friendly relations among people of the world. The presentation of the award took place at a recent club meeting in January when the President, Cedric Mogg, handed the Certificate of Fellowship to Rotarian Alan Griffiths.